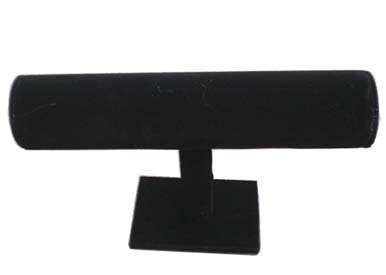 This single bar black velvet bracelet rack makes a great display on the checkout counter or in your booth. Or organize your own bracelets at home. The display bar is 9" long by about 2" in diameter (22.86 cm x 5.08 cm). The rack stands about 5.5" tall (13.97 cm).